Year-round entertainment…right on your front step. The only thing better than visiting Deer District is living in the middle of it all. With Five Fifty Ultra Lofts opening July 2019, the neighborhood will be home to thousands of Milwaukeeans looking for the convenience of downtown living and luxury of being just steps away from Milwaukee’s best entertainment, recreation and dining options. These luxury studio, one, and two bedroom apartments offer the finest quality finishes and clean, contemporary design – there’s no reason to look any further. 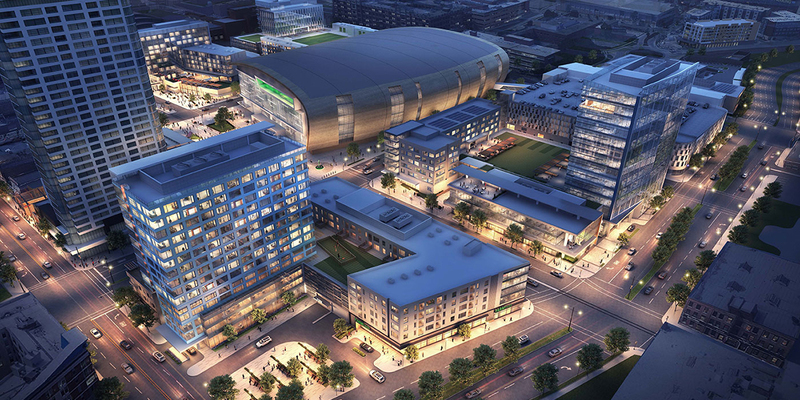 Located in Downtown Milwaukee and part of the new arena district, it’s easy to get in on all the action and just far enough away to relax and kick back and enjoy life to its fullest.